Designed especially for girls aged 8-12 years, this KJV Study Bible in pink with a durable soft cover, allows girls to discover God's truths and how to develop into a true Christian character. The Bible is packed with drawings, illustrations and maps that will help girls to visualize with the stories and text in the Bible. 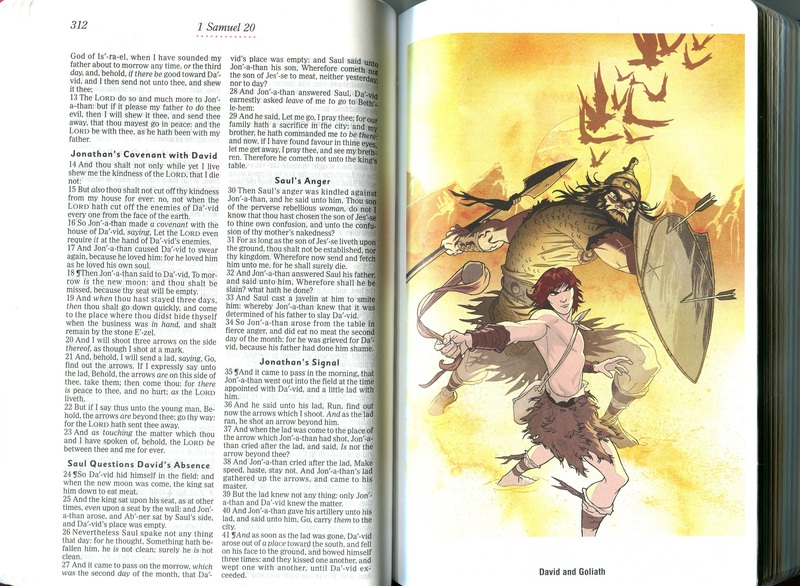 The Bible features Bible study notes, devotions and profiles that are designed to interest and encourage girls to want to study the stories in the Bible. The Bible includes the following aspects that are aimed to interest and encourage young girls to study and learn the Bible and develop Christian disciplines that will serve them well in the future. 	The Bible includes introductions that use descriptive features to highlight content of each book of the Bible. 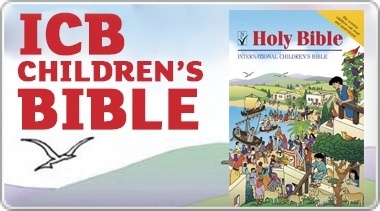 	Brief devotions reflecting on various Bible passages that are designed to encourage children to read, think and pray about their personal lives and relationships. 	Fantastic illustrations of Biblical sketches of women who are genuine heroines of the Bible and who display traits girls can admire and emulate. 	The Bible details what life was like for women in Biblical times. 	The Bible challenges girls to make the right decisions, choose worthwhile values and to act appropriately. KJV Study Bible For Girls: Pink, Durable Softcover by Baker Publishing Group was published by Baker Book House USA in September 2010 and is our 20442nd best seller. 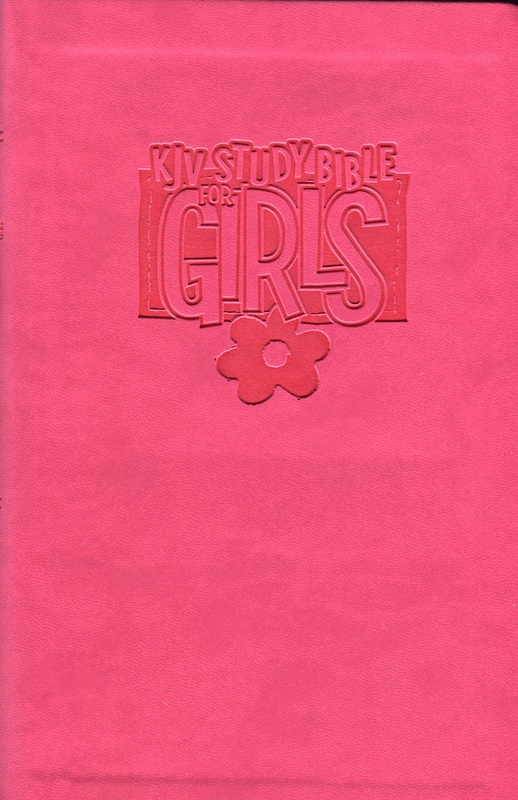 The ISBN for KJV Study Bible For Girls: Pink, Durable Softcover is 9780801072680. 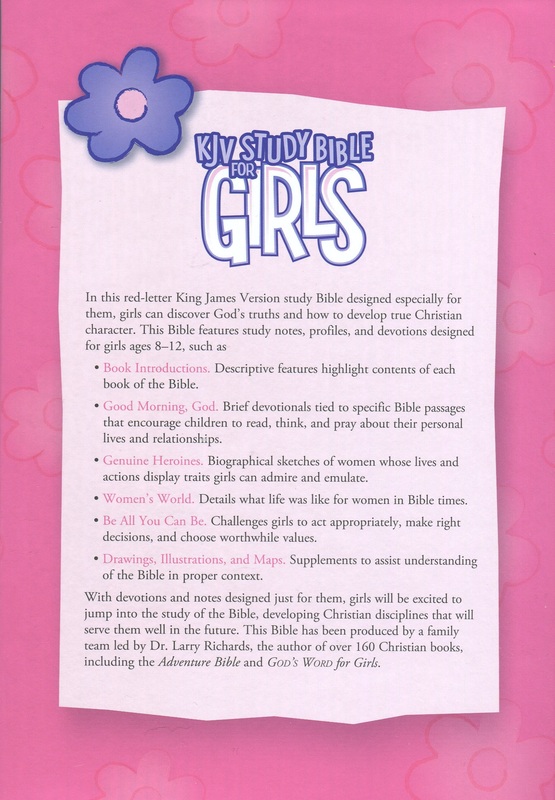 Be the first to review KJV Study Bible For Girls: Pink, Durable Softcover! Got a question? No problem! 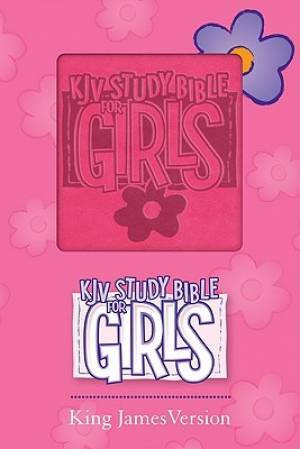 Just click here to ask us about KJV Study Bible For Girls: Pink, Durable Softcover. Does it tell girls what or where to read on a daily basis? A:No, this Bible does not feature a daily reading plan.